If reading’s your thing, S.B. has two great events cooking this Sunday, January 29. In Carpinteria, Tom Shepherd — longtime S.B. farmer and one of the earliest members of the S.B. 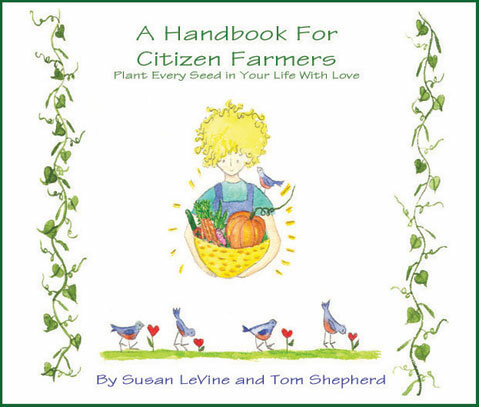 Farmers Market Association — and Susan LeVine — a writer and artist who contributed watercolor illustrations — will be on hand to sign their book A Handbook for Citizen Farmers at the Curious Cup Bookstore (929 Linden Ave., Carpinteria,  220-6608) from 2-4 p.m. If your interests skew less toward the soil and more toward the dirt, check out Fred Weintraub, the self-described “Hollywood legend you’ve never heard of.” His memoir Bruce Lee, Woodstock and Me: From the Man Behind a Half-Century of Music, Movies and Martial Arts recounts tales from The Bitter End, the Greenwich Village club he founded, as well as stories about working with the likes of Bill Cosby, Joan Rivers, Woody Allen, and Neil Diamond. Meet Weintraub at Chaucer’s Books (3321 State St.,  682-6787) this Sunday at 2 p.m.